Dialpad customers will need to set up call forwarding to Smith.ai in order for our receptionists to answer your calls. 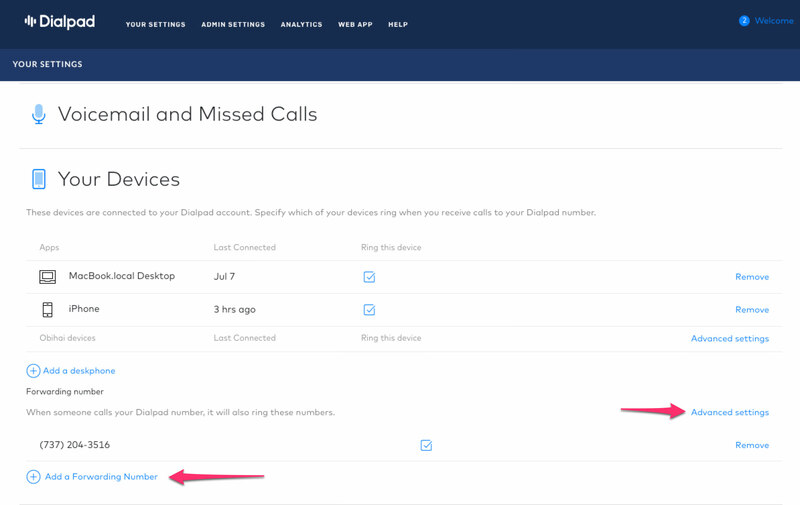 As soon as you're signed up for Smith.ai and have completed the onboarding process, follow the directions below to change the settings in your Dialpad account to ensure your calls are being forwarded correctly. Log in to Dialpad and visit the "Your Settings" page. Expand the "Your Devices" section, and click on "Add a Forwarding Number." Click on "Advanced settings," and then check all "Display the caller's number" radio buttons. 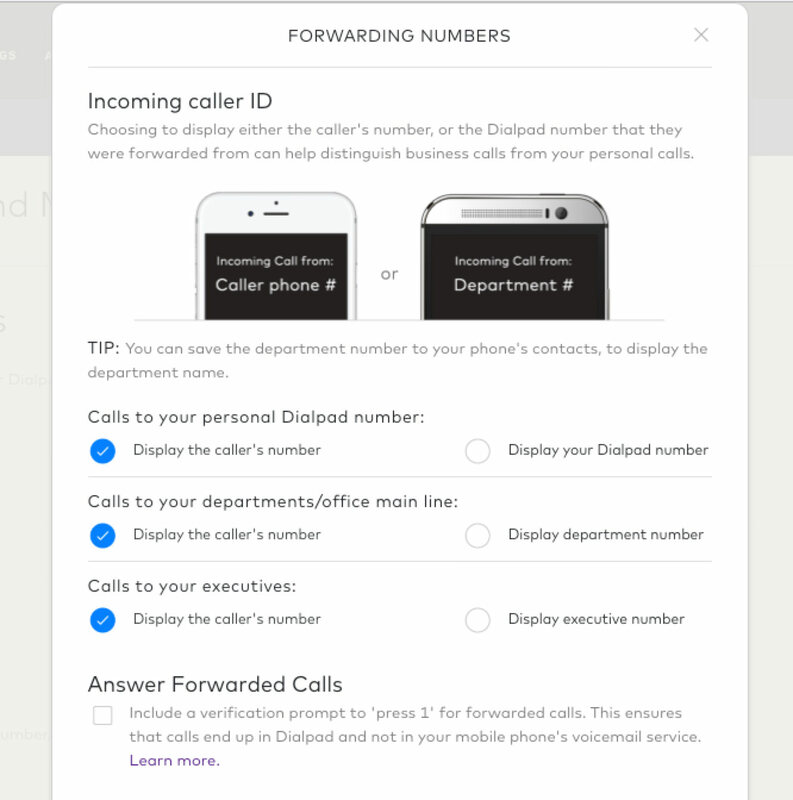 Questions about setting up call forwarding from Dialpad? Smith.ai's support team is available to help you Monday through Friday, 5am – 6pm PT, via phone at (650) 727-6484 or via email at support@smith.ai.